Well-proportioned facial features are generally considered a trait of beauty. When looking to bring balance to your face, consider a chin implant. Dr. Chan has helped thousands of patients achieve a harmoniously proportioned face with chin implant surgery. Dr. Chan also performs other types of implants—to learn more about these options see our facial implants page. Am I a Good Candidate for a Chin Implant in Vancouver? We ask that our cosmetic surgery patients are in overall good physical and mental health. During your initial consultation with Dr. Chan, he can discuss your cosmetic goals and health history to determine if chin implant surgery is the right option for you. How is Chin Implant Surgery in Portland performed? The chin implant procedure can be performed in conjunction with a facelift or rhinoplasty, or independently. The two approaches are either intraoral where an incision is made in the gumline, or externally through a small incision under your chin. The exact technique depends on several factors and Dr. Chan will discuss the best approach for you at your consultation. How Much Do Chin Implants in West Linn Cost? The cost for a chin augmentation will depend on your overall needs and cosmetic desires. Generally, insurance will not cover the cost of the procedure and it is your obligation to determine this. Dr. Chan and our Reviance Portland® staff are happy to discuss pricing and financing options with you during your initial consultation. 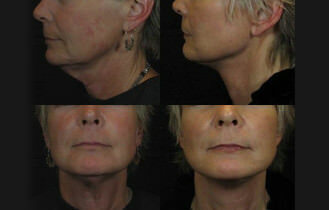 Click Here to See Our Chin Implants Before and After Photos!